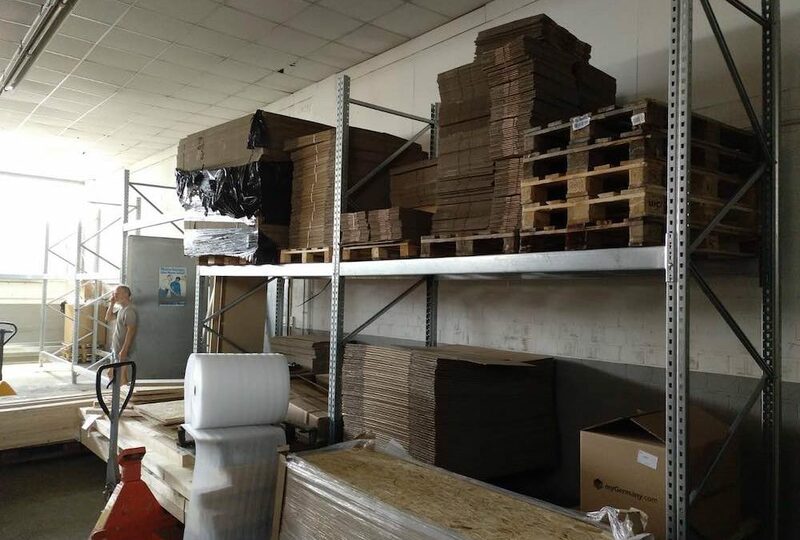 In January 2018 myGermany decided to build up a second warehouse, which is directly linked to the existing facility. Several new high racks were set up, so the same logistic management infrastructure and software can be used as in the existing facility. 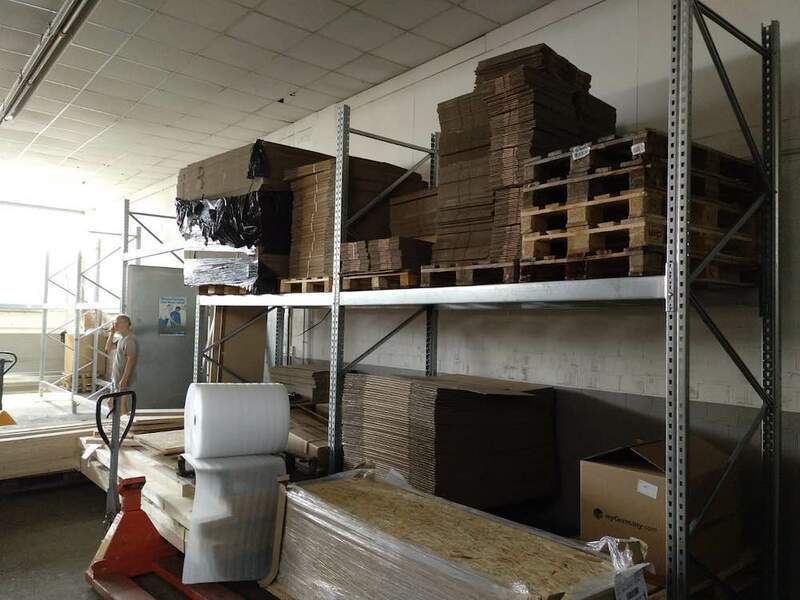 “We process each week more and more packages, between 200 and 400 per day!” is Lutz Winning, Head of Warehouse, stating the subsequently increasing package and freight requests. 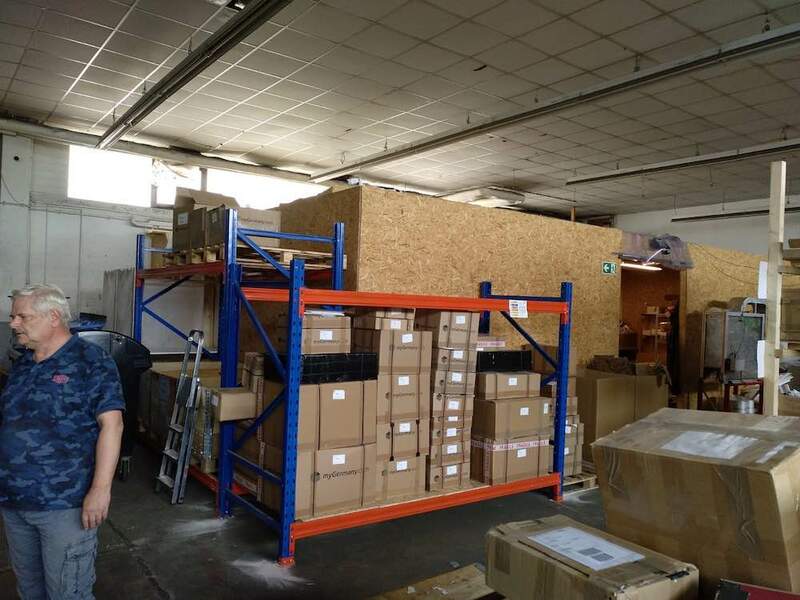 After myGermany moved into a larger warehouse beginning 2017, soon the “old” warehouse became too small and new scope was needed. Thus, myGermany searched for new options and luckily was able to rent one attached building. The myGermany warehouses in Weimar are now 2000 sqm. Thanks to our staff and our family members 10 new nigh racks could be built up in a dawn raid. 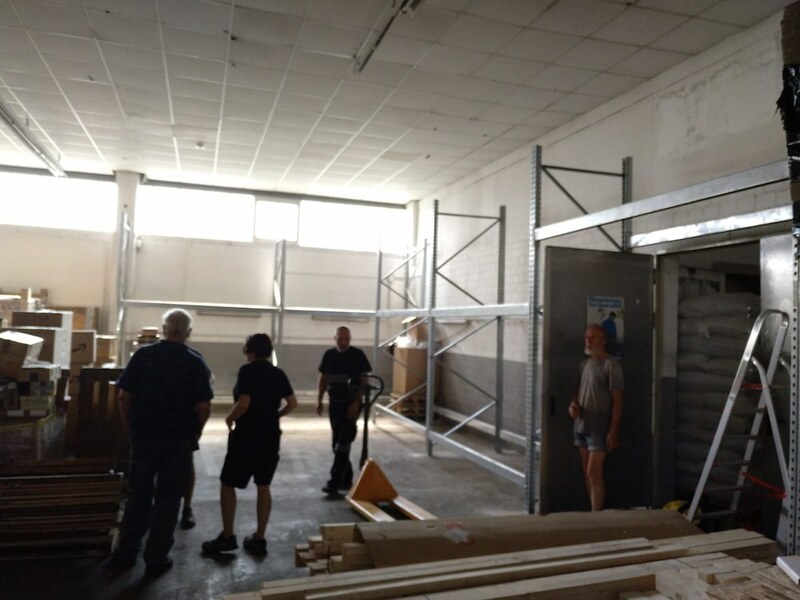 With the second facility, myGermany prepares the logistic processes for the launch of the new marketplace myGermany-Store.com, which shall be live end of 2018. Check more details here. myGermany has been working with international payment service providers PayPal and WireCard.com since 2012 to offer worldwide free payment options for concierge and shipping services with credit cards or local options (Skrill Digital Wallet, MercadoLibre, Boleto Bancario etc.). With a growing international customer base, myGermany decided in September 2018 to offer additional payment gateways for shopping and shipping services: Crypto Currencies, Yandex, Moneta.ru, AliPay, UnionPay, WeChat Pay, and ApplePay. Crypto currencies are now accepted with the partner CoinGate. For example, customers can now pay with Bitcoin, Etherum, LiteCoin and another 50 Altcoins at myGermany. Russian currencies can now be more easily accepted by Yandex and Moneta.ru. With AliPay, UnionPay and WeChat Pay, myGermany continues to enter the Chinese market and dramatically lowers the difficult hurdles of Asian customer acquisition. With ApplePay, myGermany GmbH is one of the first German companies to offer ApplePay to global customers in order to purchase German services.